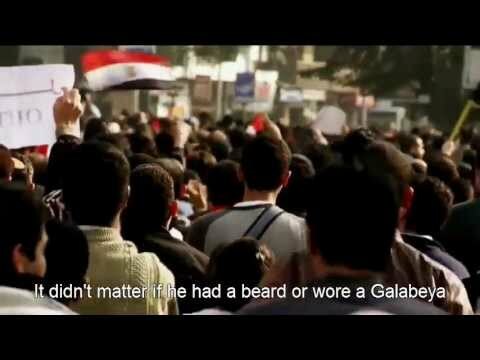 Not an endorsement, but this cover by secular leftists of Gloria Gaynor’s 1978 “I will Survive,” with satirical Arabic lyrics (translated in subtitles) about the rule of the Muslim Brotherhood and Salafis in Egypt since the fall of dictator Hosni Mubarak gives a window into the grievances and disappointments of the youth who made the January 25, 2011 revolution. Thousands of protesters gathered in Tahrir Square today, Friday, demanding that Muslim Brotherhood leader and Egyptian president Muhammad Morsi call early presidential elections. The ‘Rebel’ campaign is supported by a group of leftist and liberal parties.